IRS officials say a couple fell victim to one of the worst cases of phone fraud officials have seen. Imagine getting a call from an IRS agent, threatening to haul you off to jail, just because you goofed on your taxes. It's a scary experience being reported by people all over Southern California — part of a nationwide dirty trick that's escalating — and could cost you big money. 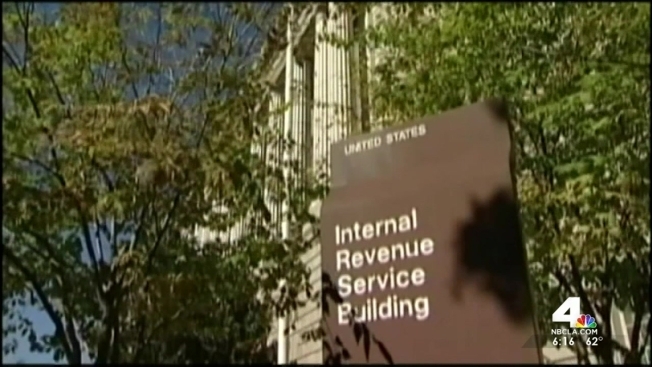 IRS officials say it's one of the worst cases of phone fraud they've seen. And from the number of calls the I-Team is getting, it seems it's only getting worse. There was a time Glendora residents Joy and Carl Specht couldn't wait to check their voice mail — hoping for a message from one of their seven grandkids. That was until the calls started coming. "We got a call on our voice mail that said it was from the IRS, and that we'd been reported for fraud and to please call them back right away because the sheriff's department was going to be notified," said Joy Specht. "I waited for a while and we got another call and that one was the one that really freaked us out." The voice on the message said: "I'm calling you from the federal investigative unit of the IRS. My badge number is 467. You are hiding from the federal government." "When someone accuses you of tax evasion and fraud and all this, it gets your attention," Carl Specht said. Instead of dialing the callback number given, they called the IRS's official number, and learned they're not in trouble — just an innocent couple, caught up in a massive nationwide rip-off operation, says Lt. Mark Stevens, who works with the fraud and cyber crimes bureau of the Los Angeles County Sheriff's Department. Stevens said they call saying there's money due and it needs to be paid immediately. Often they're asking people to go get a prepaid credit card, he said. "The IRS doesn't make those kinds of calls," he said. In the last year, victims have handed over as much as $10 million. What makes the scheme so believable is the caller ID readout — which shows the calls are coming from Washington D.C.
"They're using what we call a phone number spoofer," Stevens said. It's an electronic device that gets hooked to a telephone device so you can program what number caller ID actually reads. It changes the number of the phone it's being dialed out from. There's even newer technology criminals can use to fake their phone number. With a tool called SpoofCard, you can change your number to anything you want, without letting the person you're calling see your real number. Billed as a fun way to prank your friends, SpoofCard and other similar sites require users to check a box, stating that they won’t use the service for illegal activity. Online fraudulent activity is tough to track, Stevens said. "Internet traffic can be bounced from one place to another," he said. "There's a lot of ways they can hide." That's bad news for the Spechts, who are still getting calls and would like to send a message to these spoofers. "Stop it," Joy Specht said. "You're crooks. I would do anything I could to get you to go to jail because you're crooks." Meir Cohen, the co-founder and president of TelTech, the parent company of SpoofCard, said his company is quick to investigate any sign that their service is being used to commit fraud. IRS officials say there are so many calls at this point that it's nearly impossible to keep track. If you find yourself on the receiving end of one, don't give out any of your information. Just hang up and contact the IRS directly, through their website — irs.gov or by phone. And if you have a tip on this story — or anything else — the I-Team wants to hear from you. Give us a call 818-520-TIPS. Or send us an email — nbc4iteam@nbcuni.com.